Sign up for information about Becoming! 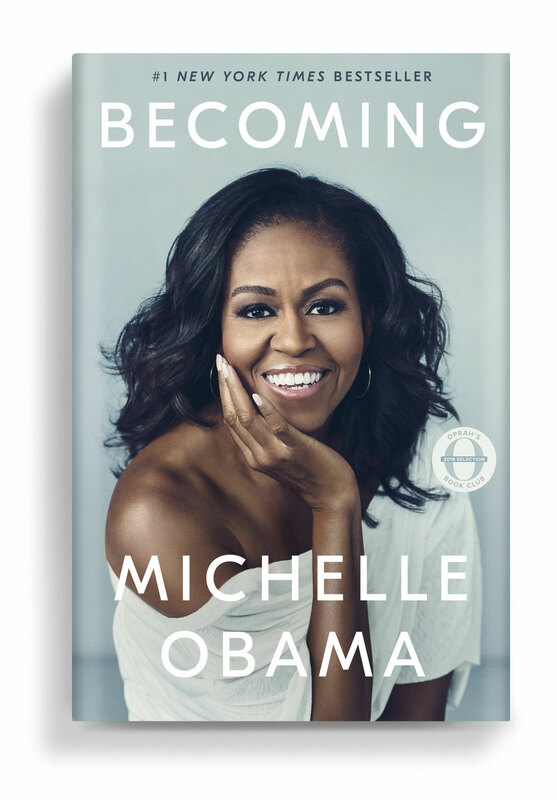 An English-language edition of Becoming will be published in the UK and British Commonwealth territories by Viking, an imprint of Penguin Books at Penguin Random House UK. The book will be published in translation in 43 other languages, including Spanish Plaza & Janés/Penguin Random House Grupo Editorial German Goldmann Verlag/Verlagsgruppe Random House Portuguese Brazil Objetiva/Companhia das Letras Portuguese Portugal Objectiva/Penguin Random House Portugal Catalan Rosa dels Vents/Penguin Random House Grupo Editorial Simplified Chinese Penguin Random House China Hindi Hind Pocket Books/PRH India French Editions Fayard Albanian Dudaj Publishing Arabic Hachette Antoine/Naufal Armenian Newmag Bengali Anyadhara Bulgarian Soft Press Burmese NDSP Complex Chinese Business Weekly Group Croatian Planetopija Czech Argo Danish Lindhardt og Ringhof Dutch Hollands Diep Estonian Helios Publishers Finnish Otava Publishing Company Greek Athens Bookstore Publications Hebrew Yedioth Books Hungarian HVG Publishing Co. Indonesian Noura Books Italian Garzanti Japanese Shueisha Korean Woongjin Think Big Co., Ltd. Latvian Zvaigzne ABC Lithuanian Alma Littera Macedonian Ars Lamina Mongolian Monsudar Norwegian Cappelen Damm Polish Agora Publishing House Romanian Editura Litera Russian Eksmo Slovak Tatran Slovene Učila Swedish Bokförlaget Forum Thai Amarin Printing and Publishing Turkish Mundi Ukrainian FORS (BookChef) Vietnamese First News - Tri Viet Publishing Co., Ltd.